This was a picture from a house in OKC we purchased in 2017. Took 5 or 6 dumpsters to clear the 1000 square foot house and garage out. Selling a house that is occupied by a hoarder or a hoarder’s personal items is a big undertaking. If no one is living in the home and it is just used as storage, then it’s a bit easier. However, if someone is living in a home that is filled with personal items, it can be a challenge to sell that home. 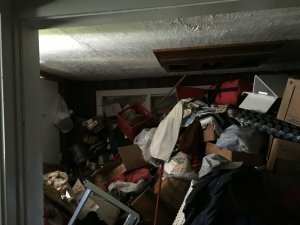 We’ve bought hundreds of homes over the years and many of them were owned or occupied by hoarders. The first thing to understand is that hoarders are people too and they care for their personal items just like everyone else does. If we are being honest, aren’t we all a little bit of a hoarder? Do you have clothes in your closet you never use? Does your desk have completely useless papers stuffed in it or stacked on it? Are you holding onto old appliances or electronics or cords for that “what if” scenario? How many pens does your pen jar have in it? Whether you have let your collection of personal items get out of hand and need to sell your home or are helping a friend or family member in this situation, we want to share some tips on selling a hoarder’s home. Selling such a home has its own set of unique challenges. 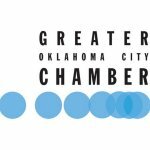 As a local home-buying company owned and operated in OKC, we’ve bought our fair share of properties that were owned or occupied by hoarders. We know how to make the process of selling a hoarder’s home as easy, painless, and fair as it can be. If you would like to skip the tips and get to selling your house…here is how you can sell your house fast and here are some testimonials from people we’ve bought houses from in the past. In today’s world, most houses for sale are marketed online. Thousands of potential buyers can see pictures of a house for sale and make an instant judgement on whether they want to see the home or make an offer on it. Most normal home buyers don’t look at anything but pictures. 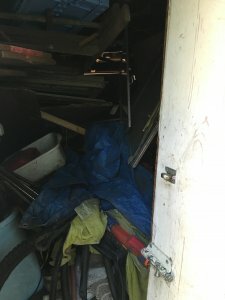 If you are selling a hoarder’s house…your pictures might not be the best especially if the home is filled with stuff. If you are looking to sell a house fast, having bad pictures will not help you. The catch-22 to that is, to get good pictures you have to spend lots of money and time clearing out the house. Most often times, a single exterior photo is all you see posted on such houses. This does nothing to attract potential buyers and actually scares some away by making them think something is wrong with the house since there is only one photo. If you can’t get people in the door, you are fighting an uphill battle. Your normal home buyer is looking for a house to live in. They are typically very picky and judgmental about houses. Possibly rightfully so if they are spending a lot of money to buy a house. If the hoarding situation in a house you are selling is at its worst, people can only make it to one or a few rooms in the house. This will scare away 99% of your normal home buyers. Even in less severe hoarding situations, the amount of clutter will be overwhelming to your normal home buyer. Another thing to remember is your normal home buyer will want to hire an inspector to look through the house in detail to find out if anything is broken or not working. They will also hire an appraiser who needs to walkthrough the house to estimate the value of the home. If access to a house where items have been hoarded is very limited, your chances of selling a home to a normal buyer are next to 0%. If you aren’t going to clear out a house before trying to sell it, make a safe pathway through to all the rooms. The keyword there is SAFE. If someone gets hurt walking between mountains of heavy boxes, guess who is liable for that? The owner of the home. Some of the houses we have purchased had multiple dumpsters full of personal items that needed to be discarded. We are talking about the full sized roll-off dumpsters in the picture here. Those aren’t cheap at about $450 – $750 a piece. Add into that the cost of labor to actually fill the dumpsters and you can see that clearing out a house that is being hoarded in, becomes an expensive job. We have seen some folks try to tackle the challenge themselves and nearly every home seller we meet that has done this regrets it. Do you want to spend days or weeks of your time clearing out a house? Most people don’t. Most of your normal home buyers will NOT buy a house that is full of stuff. They will ask that you clean it out before closing or hire someone to do this. If you do clean it out, the home buyer might then find damages they didn’t see before and make you pay for those also. Nothing is worse than spending thousands of dollars to clear a house out for a buyer only to find out they don’t want the house after they can see everything in it. If you don’t want to clear the house out or spend the money to, give us a call at 405-673-4901 before you start working on this. We can buy the house BEFORE you have to spend a dime or one minute on cleaning it out. We can even allow you extra time after closing to go through the personal items in the home to figure out what to keep or toss. When a house sits full of personal items and boxes over boxes of things stacked up…there can be some hidden risks you need to watch out for. For example, most hoarder houses we’ve bought also had a rat or mouse infestation. Not only does that problem need to be taken care of but you also have to realize that breathing in feces or urine from rats/mice can infect you with some diseases you don’t want to get. 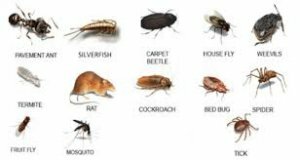 We’ve almost always found roaches or fleas in houses where stacks of cloths or boxes create perfect hiding spots. Unhealthy in their own right to touch or deal with, you also have to be careful about taking these pests home with you. They can easily attach to your clothes or shoes or socks and get a nice ride to a new home. Bring bug spray or wear a body suit if you need to. We buy hoarder houses as-is for cash. We are a locally owned and BBB accredited home-BUYING company in OKC. We have bought many houses that had some degree of hoarding going on. If you don’t want to mess with the clean up and hassles of trying to sell a hoarder’s home…call us. We are not your normal house buyers……We aren’t afraid of the clean up and repairs. Also, we don’t judge anyone by what their house looks like. Chances are, we’ve seen much worse than a house that just has a lot of stuff sitting in it. We don’t back out on deals once we enter contract. We don’t need to do crazy inspections and won’t make you clean or repair anything before closing. I tell you what….After working with Tyler [W Properties], I don’t want to work with anyone else if I ever have to do anything like this again. He made everything so simple and painless. He did all the work for us and explained everything along the way step by step. What was expected of both sides and when. It was so smooth, I actually thought I was dreaming. Thank you Tyler [W Properties]. 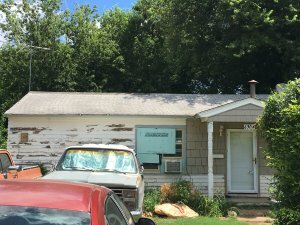 If you would like to talk to us about the idea of selling a house where hoarding is occurring, call or text us at 405-673-4901. The easiest way to reach us is to fill out the form below and we’ll contact you within 24 hours. Hopefully these tips have helped and if you have any questions, don’t hesitate to contact us! !